DETROIT - The Detroit Tigers signed veteran pitcher Tyson Ross to a one-year deal. The deal is worth $5.75 million. Ross has spent nine years in Major League Baseball, pitching for the Oakland A's, San Diego Padres, Texas Rangers and St. Louis Cardinals. 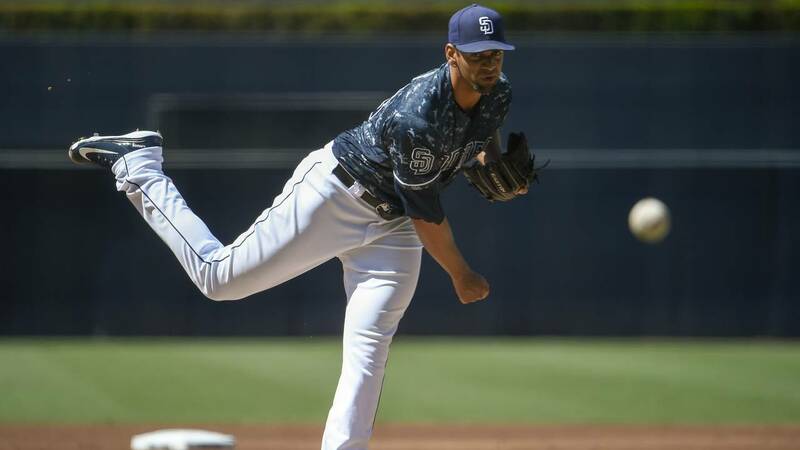 Ross was an effective starting pitcher as recently as 2015, when he started 33 games for the Padres, striking out 212 batters in 196 innings while posting a 1.31 WHIP and 3.1 WAR. He had a decent season as a starter in 2018, striking out 107 hitters in 123.1 innings for the Padres while posting a 1.33 WHIP and 4.45 ERA. After being traded to the Cardinals, Ross allowed just eight earned runs in 26.1 innings, primarily as a relief pitcher. From 2013-2015, Ross posted a 3.07 ERA, 1.23 WHIP and 9.2 strikeouts per nine innings in 99 games. An injury in 2016 derailed his career, as he's struggled to keep the ball in the park and replicate his previous strikeout numbers. Ross is 31 years old and will turn 32 in April. This is the second veteran pitcher the Tigers have signed this month. They agreed to a one-year deal with lefty Matt Moore.